Imax, the cinema technology company specialising in immersive 3D screenings, is to offer home cinemas for China's wealthy elite in a joint venture with Shenzhen's TCL Multimedia. Each luxury theatre will cost at least $250,000 (£157,000), Reuters reported. "China now is our second largest market in the world, and our fastest growing market," Imax chief executive Richard Gelfond said. The company is also targeting Russia, Hong Kong and the Middle East. China's burgeoning wealthy class is hungry for luxury goods of all kinds, with TCL estimating that the home theatre market will grow 20% a year over the next five years. 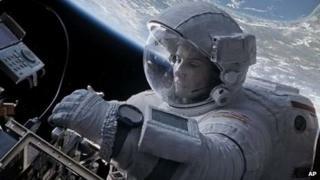 Three-D films are also growing in popularity, with more than 80% of audiences for the recent blockbuster film Gravity opting for the 3D format thanks to the film's ground-breaking special effects. Luxury, immersive home cinemas are now possible - albeit only for the rich - thanks to advancements in 3D and large-screen technology. Shooting a film with dedicated Imax cameras used to cost more than £6m before the company developed a way of converting standard films to Imax format using algorithms for less than £1m. Producers started making films specifically for 3D, with James Cameron's Avatar in 2009 proving to be the first mainstream 3D box office success, taking about $250m in Imax theatres. Imax already earns 16% of its revenue in China, and now has 131 screens installed there. In July, it announced an agreement with China's Dalian Wanda Group Corp to build up to 120 new cinemas in the country, building on its 2011 deal with the group.